Formerly one of Los Angeles’ last rental darkrooms, this commercial storefront in the hip Ocean Park neighborhood of Santa Monica was re-purposed for Image Mechanics, a Los Angeles-based digital capture company, rental studio, and full-service post production facility that caters to leading advertising and celebrity portrait photographers worldwide. 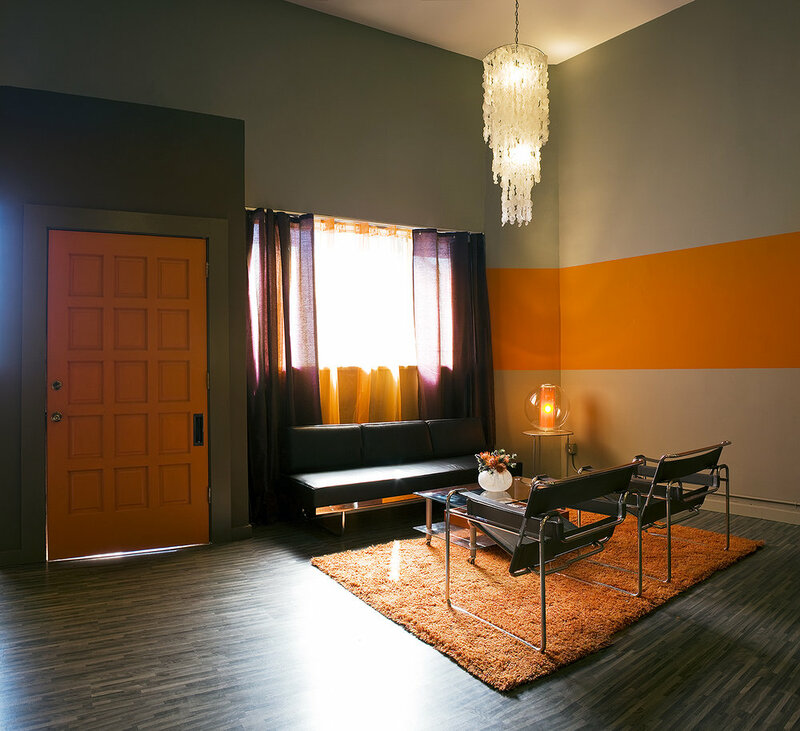 The 1,000-square-foot studio space includes a client lounge, a hair and makeup room along with a private client editing and retouching suite. 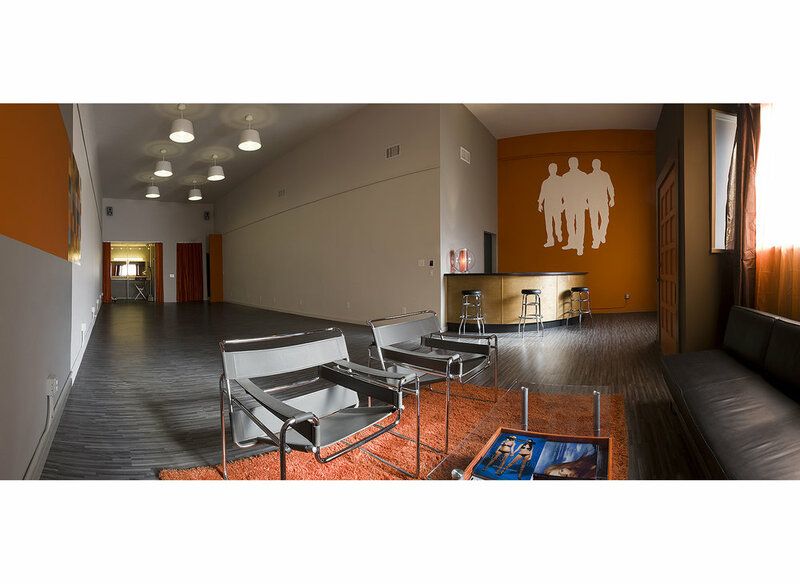 Also part of the program are back-of-house offices, post-production workstations, digital printing facilities and storage for the firm’s extensive digital capture equipment. 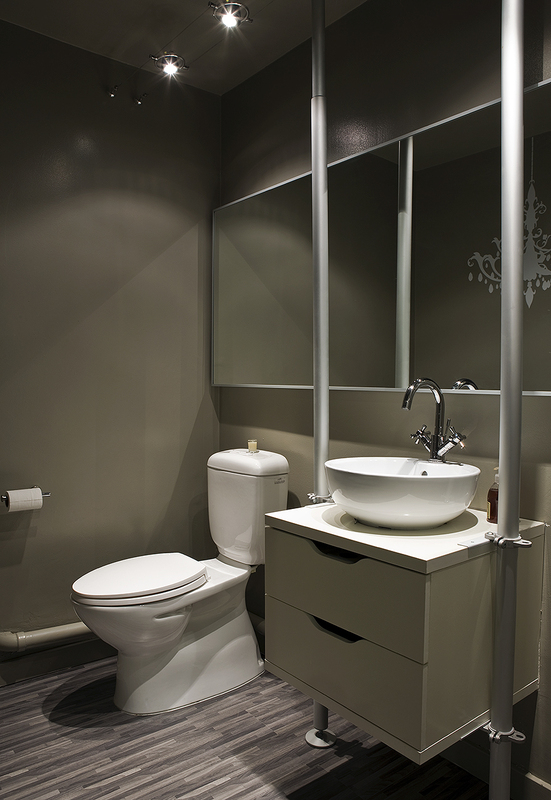 Low-impact measures used to create the eco-friendly studio include low or zero VOC paints in most of the space; warm fluorescent lighting in every fixture with the exception of a few specialty lamps; laminate click-in-place floors that were manufactured in California and installed without toxic glues; and dual-flush, low-flow toilets and LEED-certified hand dryers in the bathrooms. Nearly all of the furniture in the new space has been reused or repurposed from the firm’s former studio in Hollywood. Image Mechanics has also implemented an aggressive reuse/recycling office policy and uses an environmentally friendly cleaning crew that cleans with green products.